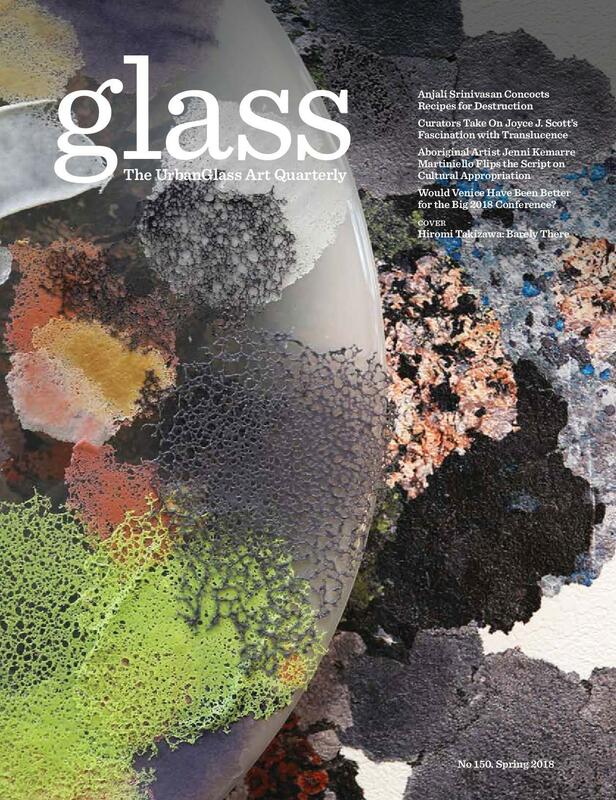 In the current issue of Glass: The UrbanGlass Art Quarterly, James Yood deems Adriano Berengo “the most significant figure in sculpture in glass to emerge so far in the 21st century.” Berengo is known for inviting talented individuals who have no previous experience with glass (many of them with big names i.e. Fred Wilson, Ai WeiWei, and Tony Cragg) to visit his Murano workshop to work alongside skilled glassmakers to create art. The finished work is often shown at Glasstress, his collateral event timed to the famous Venetian Biennale. This ongoing project seeks to fuse art-world stars and traditionally trained glass makers which is the project of The Berengo Foundation (Fondazione Berengo), which can be located somewhere between historic preservation and innovation: it seeks to “revitalize and re-energize the glass industry in Murano,” while “re-establishing glass making as a skill and craft of the highest significance.” Yet, Yood pointed out that Glasstress exhibitions rarely include artists “we would recognize as from the Studio Glass movement” -- rarely as in under 3-percent. Still, Yood says some of the finest sculpture has been produced from this process and Berengo’s efforts make glass a serious and relevant topic in the contemporary art world. In booth 208 at Art Boca Raton, the commercial gallery arm of the operation known as Berengo Studio 1989 brings together the works of innovative artists like Andrea Salvador, Luigi Benzoni, Massimo Lundardon, Sabine Wiedenhofer, and Richard Jolley, among others. Both Berengo Studio and Glasstress emphasize the contemporaneity of all of these artists. The mosaics of Andrea Salvdor, for example, are described as having “hyper-realistic images [that] are undoubtedly part of our contemporary lifestyle.” Similarly, Richard Jolley’s style is described as different from that of the Studio Glass Movement and more in line with artists in the contemporary art lineage, such as Pablo Picasso, Henri Matisse, and Constantin Brancusi. Contemporary art fairs are often spoken about as phenomena particular to and necessary in an increasingly globalized world, and have become an important way for galleries to expand their customer base. One one hand, they bring together an international group of galleries and artists under one roof, allowing visitors and participants to make connections in a matter of days. On a deeper level, art fairs also create value, both financially and discursively, deciding what is and is not worthy of purchase and display, and determining what can be labeled with the increasingly glamorous words “contemporary art.” In this light, the presence of Berengo Studio 1989, can be seen as a sign that the efforts of Adriano Berengo and others to make glassmaking relevant to the contemporary art world have succeeded. What this will mean in the long run for those considered more “traditional” makers or whether this reinforces or bridges a divide between artists deemed to be part of "glass art" versus simply "contemporary art" remains to be seen.